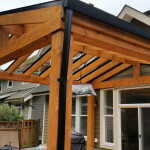 A wood deck railing Wood Pressure-treated wood is the most economical railing choice, but there are a variety of other wood types available, including cedar (which contains a natural preservative). 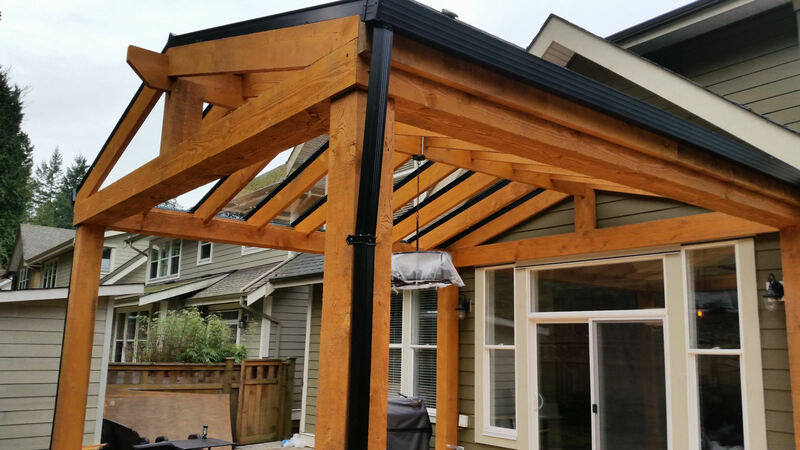 Wood can be stained to a shade that matches or complements your deck. 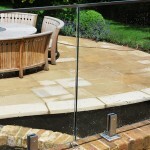 A vinyl deck railing Vinyl Vinyl is a low-maintenance material known for its strength and durability. 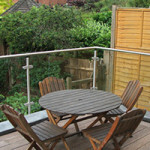 It has a slightly glossier finish than wood or composite and is available in white for a classic, airy railing look. An aluminum deck railing Aluminum Aluminum is sturdy, lightweight and low-maintenance with a durable powder-coated paint finish. 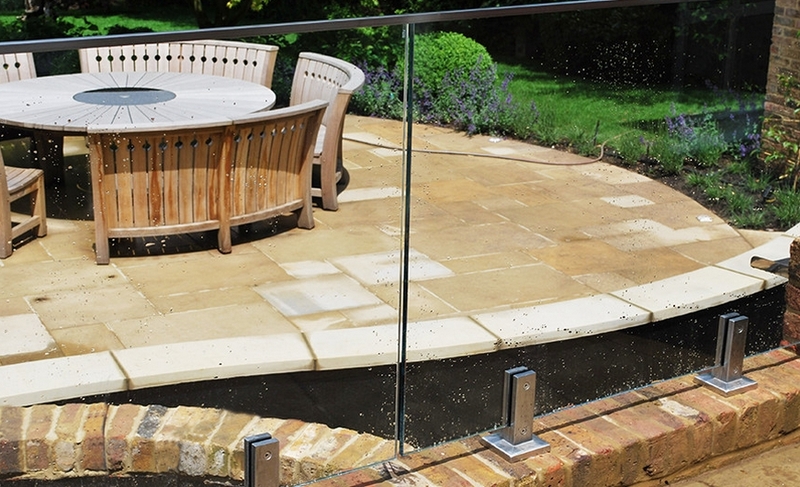 These types of railings come in black or white and mix well with other materials. A composite deck railing Composite Composite is a material that mimics the look of wood, but won't splinter, crack, warp or rot. It comes in a wide variety of colours and requires only cleaning for maintenance. 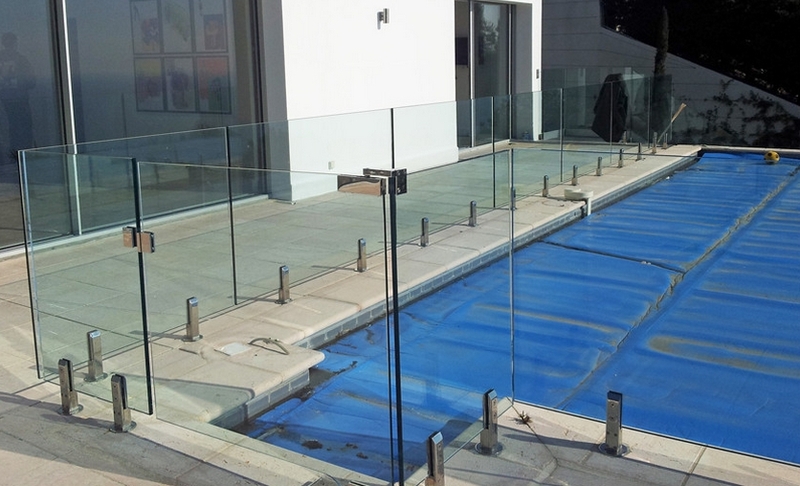 A glass panelled deck railing Glass Panels Glass panels can be used instead of balusters (the vertical connectors between rails) for decks with a view or in yards where privacy is not an issue. 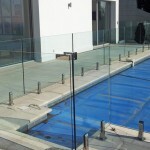 These types of panels provide a modern look and coordinate well with vinyl or aluminum.